The Galaxy S5 is a pricey phone, the cost of which the big four American carriers typically offset by pushing consumers towards two-year contracts. They generally also offer the choice to pay for the entire phone upfront, but people who want to own the phone outright and have the several hundred necessary to do so stand to benefit from shopping around for the lowest price, and lowest commitment, option available. Today both Boost Mobile and Virgin Mobile have added their names to the list of providers willing to sell a Galaxy S5, doing so for $599.99 with no contract. Boost Mobile's plans start as low as $40 a month with unlimited talk/text and 500MB of data. Virgin Mobile's offerings begin at $35, with the cheapest plan dishing out unlimited data (throttled after 2.5GB) and text messages but only 300 minutes. Both of these prepaid brands operate on the Sprint network, which is something to keep that in mind as you check out the links below. 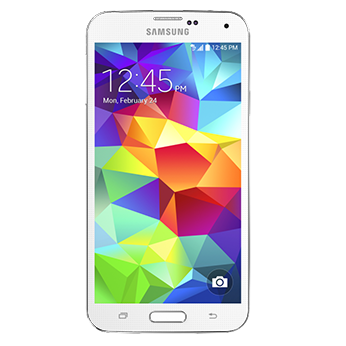 IRVINE, Calif. & WARREN, N.J. (BUSINESS WIRE), May 19, 2014 - Boost Mobile and Virgin Mobile USA announced today the availability of the stunning and innovative Samsung Galaxy S® 5. Perfect for those with an active and dynamic lifestyle, this device contains premium features and is priced at $599.99, available with Boost and Virgin Mobile’s enhanced 4G LTE1 with flexible unlimited2service options and no long-term contracts. Vibrant display: Big, bold 5.1" full HD Super AMOLED® display, providing richer colors, darker shadows and faster response times. High-Quality Camera: 16 megapixel camera with lightning-fast autofocus, allowing users to take shots like a pro. S Health™: Integrated platform lets users track nutrition, fitness and wellness, and includes the world’s first built-in heart rate monitor in a smartphone3. Ultra Power Saving Mode: Reduces Galaxy S 5 functionality to its most important features to conserve power, extending battery life to 24 hours with only 10% battery life left4. Music for every taste: Downloading the Milk Music app allows Galaxy S 5 owners to access the newest and freshest music in the industry, all free and curated by DJs and industry pros. Smart SwitchTM: Switching to the new Galaxy S 5 has never been simpler or smarter. Smart Switch allows smartphone users to easily transfer existing contacts, photos and media to their new device, even across operating systems5. Fingerprint Scanner: Innovative and personal feature allows users to quickly unlock the phone, granting them faster access with the touch of a finger.